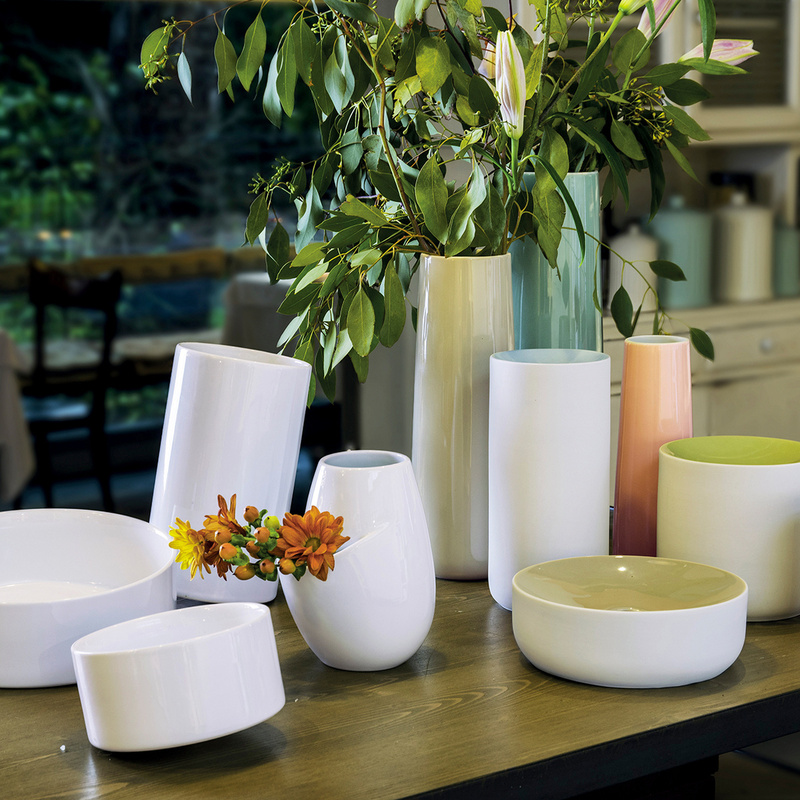 The Task vase by Arzberg: the value of porcelain with a touch of originality that makes the difference. 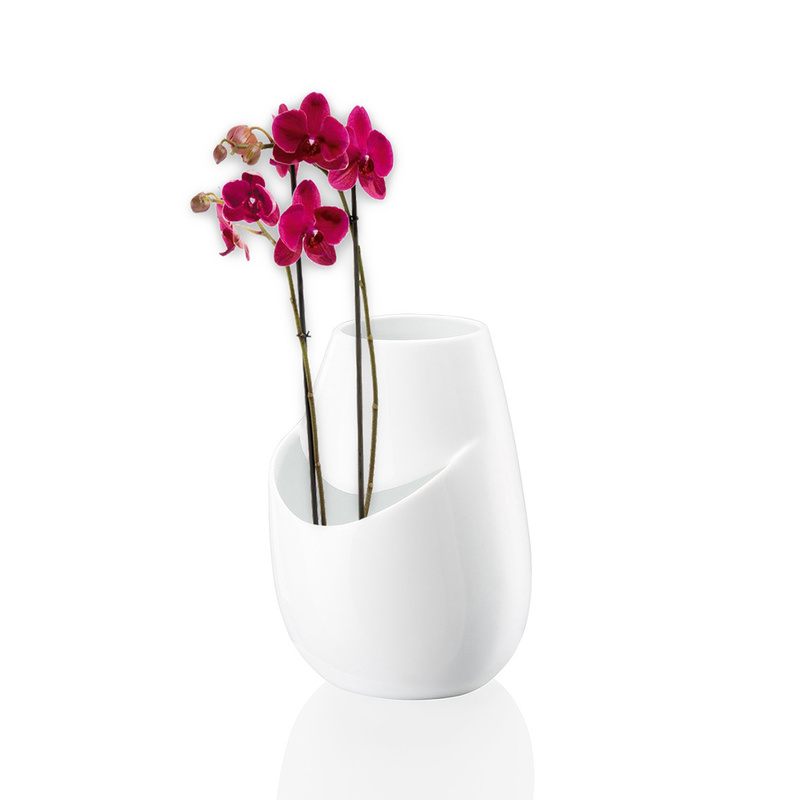 An old material such as porcelain gives the Task vase a modern and appealing look. Versatile, compact, elegant, sturdy – this vase has all the features needed to bring usefulness and beauty into any environment. The porcelain with which it is made is of great prestige, with its timeless style and its particularly brilliant and luminous texture. Strongly innovative, however, is the shape of the vase: a typical, classic cylinder becomes an unusual and uncommon element thanks to a cut on one side. An exclusive and original detail, this cut gives a more dynamic and vibrant look to the piece, transforming it into a unique accessory. However, the originality in the design of the Task vase does not take anything away from its main function. Perfect to contain fresh flowers, it can also be used to contain bouquets of fake flowers as the white colour brings out the beauty in any type or kind of flower. Its exclusive appearance also allows the vase to be used as a decorative accessory even when it is empty. Featuring a contemporary yet simple and essential look, there is no limit to where you can put this vase: in a house it enhances every corner, from the sideboard at the entrance hall to the living room, from the kitchen shelf to the top of the chest of drawers in the bedroom. In addition, its stylistic value and high quality make it the perfect protagonist in public spaces as well, from a hotel room to a restaurant, from a shop window to a professional studio. Excellent as a gift as it can meet everyone's taste, this vase can be used alone or combined with other pieces without being too rich thanks to the complete absence of frills and unnecessary details. The Task vase is produced by the German company Arzberg.